The Museo has a long standing traditon of helping organize and execute community events that celebrate the Latino culture. Las Posadas - Thank You! Procession on Dec. 12th, we will not be doing the procession, our partners at the Library can not help this year and we do not have the resources. Gift Distribution, and Food Baskets: Dec. 19th at 3 pm, if you need a food basket call 970-412-4536 to get signed up, for gifts ALL children must be present to pick out their gift. 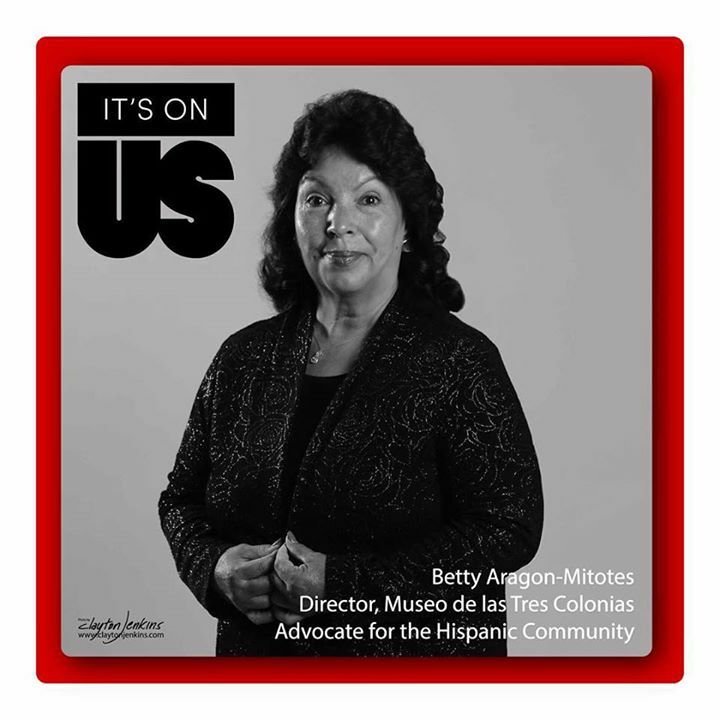 The Museo de las Tres Colonias is proud to partner with the SAVA Center and the City on this important campaign to work as a community to end sexual assault violence against women. Will you take the pledge to help? Go to Fort Collins Facebook page and Like "It's on Us". Due to budget constraints, the rest of the Chili Fest and Dia de los Muertos will not happen this year. We hope to be going full force next year with the help of grants. Good news - Las Posadas is on the schedule!!! Stay tuned for dates!!! December 14th 6-8 pm at the Museo de las Tres Colonias, 425 10th Street/Romero. Information contact: Betty Aragon-Mitotes 970-412-4536. The Museo is a wonderful educational experience for any child. Betty Aragon herself conducts a tour of the site, explaining the way Mexican-American families lived as far back as the 1920's. She explains the neighborhood's history, how the houses themselves were constructed (in the summer, kids even get to make their own adobe bricks! ), and how food was kept and prepared before refrigerators existed! Touring the Museo provides insights into their family life and culture, as well as the work the Museo and Betty herself continues to do on behalf of the Latino community. Tours and School Visits are free.